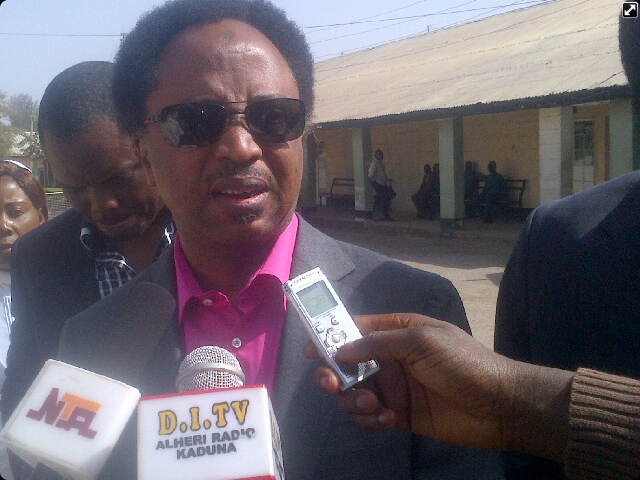 Kaduna State chapter of the All Progressives Congress, APC, has accused ​the​ senator representing Kaduna Central, Shehu Sani, of planning to sabotage President Muhammadu Buhari in 2019. The governor and the senator have been at odds for undisclosed political reasons, leading to Mr. Sani’s alleged ​suspension by the state branch of the party. In an interview in the March edition of The Interview magazine, the senator accused Kaduna State governor, Nasir El-Rufai, of planning to upstage ​President Muhammadu Buhari in the 2019 election. In defence of the governor, the chapter​’s​ publicity secretary, Salisu Wusono, urged people to ignore Mr. Sani, “a man who cannot grasp that leadership is not an ego trip or a perpetual exercise in narcissism”. “The APC in Kaduna State hereby warns suspended Senator Shehu Sani against his irresponsible utterances about our party and its elected leaders. “This is a man who seems unable to believe his good fortune at riding on the Buhari wave to become a senator. “He hardly waited to arrive in Abuja before enlisting as an agent of the forces who began to plot for 2019 before they were even sworn-in, following the 2015 elections. “Shehu Sani is desecrating the image of our party by his mercenary antics, and that is why we suspended him. “He has tried to rubbish our revered President Muhammadu Buhari by describing the anti-corruption crusade as political. “He is now pretending to love Buhari by needlessly attacking Malam Nasir El-Rufai on behalf of those funding his immature politics. “The guilty are indeed afraid! Shehu Sani’s masters, who defied our party for their selfish ends, know that Nigerians are aware of those whose 2019 calculations made them impervious to reason and party discipline. “The APC Kaduna State is proud of the vigorous and disciplined way Malam Nasir El-Rufai is governing Kaduna State in line with the manifesto of the APC. In education, health, agriculture and general governance reforms, El-Rufai is making strides. “He has demonstrated exemplary focus on the responsibility the people of Kaduna State has given him. His loyalty to the APC and the great work that President Buhari is doing is visible for all. “The APC Kaduna calls on Nigerians to ignore Shehu Sani, a man who cannot grasp that leadership is not an ego trip or a perpetual exercise in narcissism,” the statement said.